That smiling face you see next to these words is a Springfield girl named Mirika. 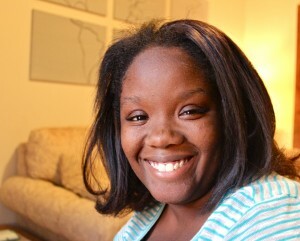 If you could sit down and have a Coke with Mirika, you’d notice a few things about her right away: Her beautiful smile. Her positive attitude. Her contagious laugh. There are a few other qualities that, as your conversation went a little deeper, you might observe, too. Mirika has learned a lot of lessons at the age of 16, that most of us probably didn’t have to learn so young. She’s learned to survive in a neighborhood where drugs are easy to find. She’s learned which role models to look up to when others around her are on a path to dropping out or getting locked up. And she’s learned how to grieve and heal after her cousin, a star football player at Springfield High, was shot and killed earlier this year. In 2012, when Mirika was in 8th grade at Hayward Middle School on the south side, she found a free afterschool program called GirlPower, just two blocks from school. What she found wasn’t just a program, though. GirlPower was a safe place—physically safe and emotionally safe—for Mirika to talk about real struggles and make real friends with other girls and caring Wittenberg University women. GirlPower was a place for Mirika to just laugh and play and be a kid and forget about real life drama for a little while. GirlPower was a place for Mirika to express herself, explore who she dreamed of becoming, develop the habits and skills to get to that dream, and find friends and role models to cheer her on. GirlPower was a place to nurture Mirika’s faith, for her to pray and be loved. Mirika loved GirlPower and h er leaders so much that when she started high school in 2013, she began volunteering with 5th and 6th grade GirlPower at Perrin Woods. 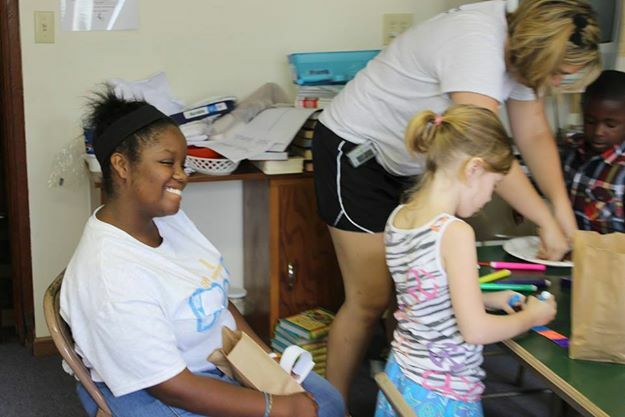 Now a sophomore, she also volunteers at Camp Boost Summer Reading Clubs on Clifton Avenue, and comes back to GirlPower every Thursday because she wants younger girls to “be safe, graduate from high school, and have good friends.” She’s involved in a Bible study and goes to church with her grandpa. When you give to SCYM, you give to Mirika. You give her the opportunity to give back to her community, to pour into other girls growing up in her neighborhood. You give her safety, role models, and life skills. Most of all, you give her hope! Looking into the eyes of one Springfield young person like Mirika is the reminder that I need to keep going and keep giving. This year, the phrase “Worth Fighting For” describes for us what it means to keep going and keep giving to Mirika and other kids with stories of their own and unlimited promise. “Worth Fighting For” means continuing to show up even when we feel tired, or fatigued, or discouraged, because the Lord calls us to fight for kids who are facing their own, giant-sized battles. 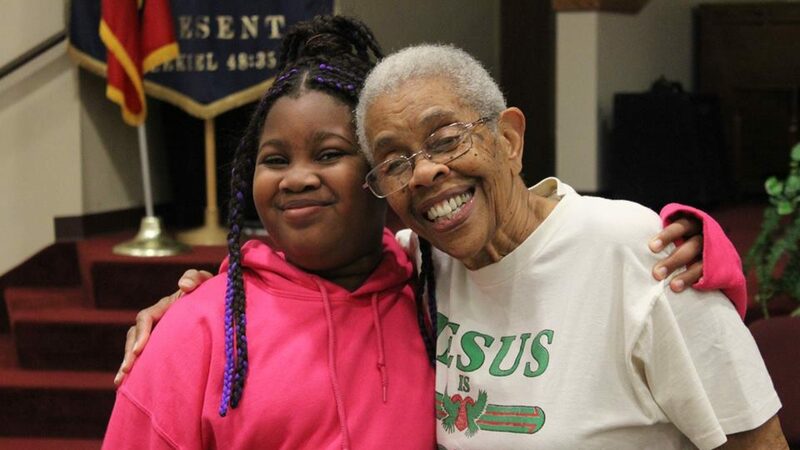 As 2014 closes, will you fight for Mirika and hundreds of other Springfield kids—460 in all this year—by making a year-end gift? Or even keep that support going all year by joining others in automatic monthly giving? $25 gives life-changing hope and support to Mirika for one month, $150 for six months, $300 for a full year. And if you sign up for automatic giving by credit card or bank draft at $25 a month, you support her all year round. Whether it’s monthly or one-time, a gift of any size makes a difference! You can donate right here online. Thank you for fighting for Mirika and hundreds of other Springfield kids this year! ⟵Announcing the 2014 Christmas Bible drive!